Morphine is a powerful opioid medication that is used to manage pain after surgery as well as more extreme, chronic pain cases, such as those associated with some forms of advanced-stage cancer. Morphine is a powerful painkiller and is a helpful and safe medication when taken for a short time for pain relief. However, it is easy to become addicted to morphine because of the feelings of euphoria that it can cause. Better physical and mental health. Over time, people who abuse morphine may become malnourished and lose weight due to loss of appetite. Morphine can also increase the risk of some mental health conditions such as depression. People who inject morphine are at risk of contracting infectious diseases such as hepatitis and HIV, as well as developing scarred veins (“track marks”) at the sites of repeated injection. 2 Additionally, more widespread examples of cardiovascular inflammation and infection can result from non-sterile needle use. Improved functioning in daily life. Many people who are addicted to morphine have difficulty functioning in their family and work roles due to their constant need to obtain morphine, use it and recover from its effects. Quitting morphine can lead to improved relationships, greater productivity and more time to engage in meaningful activities. Eliminate risk of overdose. Morphine carries a high risk of overdose. When a person stops using morphine, they are eliminating this potentially deadly risk. Improved finances. Quitting morphine means you don’t have to constantly spend money on the drug or worry about how you will acquire it. Some people who are addicted may also engage in illegal activities to get the drug, putting themselves in dangerous situations. Inpatient treatment provides 24-hour oversight for those who are trying to quit morphine. Inpatient treatment programs typically provide nursing, psychiatric and therapy services in a secure, structured setting. 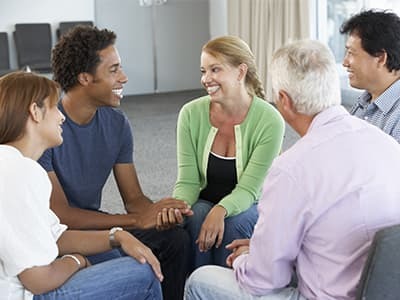 Inpatient treatment approaches can include several support groups throughout the day, individual and group therapy, healthy activities and other behavioral interventions designed to help build skills to cope without the use of drugs and build relapse prevention skills. Outpatient treatment is another option for those seeking to quit morphine. Outpatient treatment usually entails visiting a treatment center for 1 to 3 sessions a week, and the intensity of these services may vary depending upon individual needs. Outpatient treatment provides many of the same types of relapse prevention and coping skills groups as inpatient programs offer. In general, outpatient treatment is most suitable for those who are addicted to only one drug and meet certain criteria regarding the severity of their addiction. Individual counseling typically involves cognitive behavioral therapy (CBT), which helps people learn new ways of thinking, focuses on breaking old patterns of behavior that lead people to use drugs, and teaches relapse prevention skills. 12-step programs are free and widely available for those recovering from addiction to morphine. Narcotics Anonymous (NA) provides a network of others in recovery to assist users in maintaining a lifestyle free from the use of substances such as morphine. For many individuals, 12-step programs are a vital part of the aftercare measures that follow the completion of an inpatient or outpatient substance abuse treatment program. Without ongoing encouragement and support, users in recovery may relapse when faced with stress or challenging situations. Aftercare is an important component of long-term recovery, and should begin immediately after completion of a rehabilitation program for morphine addiction. Without ongoing encouragement and support, users in recovery may relapse when faced with stress or challenging situations. Outpatient programs. Many people leaving an inpatient program “step down” into an outpatient program for a period of a few days to a few weeks. These outpatient programs can provide the reinforcement needed for skills learned in inpatient treatment and help prevent relapse. Outpatient treatment may be in a group or an individual format. 12-step meetings. Many support groups are available that provide those leaving inpatient treatment, or completing outpatient treatment, ongoing support. Twelve-step groups provide peer support to those recovering from addiction to drugs such as morphine. Groups such as Narcotics Anonymous (NA) are an important part of ongoing recovery for many people who have completed treatment for morphine addiction. Other support groups. Many other types of support groups are available that are not traditional 12-step programs. Some support groups are run by churches, community centers and private counseling centers. Sober living or halfway houses. Some people who leave treatment may need a supportive environment in which to live on a long-term basis. Sober living facilities typically provide apartments or other housing that are part of a program where ongoing counseling is provided and staff check on residents periodically. These programs may also assist with finding a job and medical care and child care. Individual counseling appointments. Seeing a substance abuse counselor or therapist on an ongoing basis can provide a source of continued support as well as a way to help manage relapse triggers and other challenges of recovery. Need Help Detoxing From Morphine? Who Answers? to find a morphine recovery center near you that can help you safely detox from morphine and recover from your addiction. Most people who are addicted to morphine and suddenly quit using it will experience withdrawal symptoms. How severe these symptoms are, and how long they last, vary from one individual to another. Many factors are involved, including the length of time someone has been addicted, the amount of morphine they used, whether or not they have any other addictions, and the person’s general health. A physician or another healthcare professional at an addiction treatment program can help assess for and manage these symptoms. Medications can be used to ease the withdrawal process and help control cravings. Depending on the user’s situation, a physician in a recovery program may use a form of medication-assisted treatment – or MAT – to ease the withdrawal process and help the user engage in treatment. Sometimes, the physician will use a tapering process that involves administering a medication and then gradually weaning the user off the medication. Other times, the user continues to take the medication for a longer period of time. Helping the user adjust to living without morphine. Supplementing ongoing behavioral therapeutic approaches for best outcomes. Avoid triggers. Triggers are people, places or things that can cause you to crave morphine. Identify what your triggers are, and have a plan for how to avoid them. For triggers you can’t avoid, come up with ways you can cope with them. For example, if someone makes you angry, and anger is a trigger for you, count to 10, leave the situation, or practice deep breathing techniques to help calm you down. Some people carry around a list of strategies to use if they face a trigger. Seek professional help. Treatment centers can develop a personalized plan for you to help you recover from morphine addiction and address any other issues related to your addiction. They can teach you coping skills, relapse prevention skills and offer support in an environment free of substance abuse. Don’t try to detox alone. Attempting to go through morphine withdrawal without medical supervision is extremely difficult and uncomfortable and can raise your risk of relapse. Build a support network. Connect with sober friends and family who will encourage you to get clean and will not expose you to any triggers, such as drug use. They can be there for you when you experience a craving or need someone to talk to. Get rid of paraphernalia. Throw out items that remind of you using morphine, such as syringes or prescription bottles. Complete your treatment program and participate in aftercare. Even though it may not be easy, try to complete your recovery program and participate in some kind of follow-up care after you discharge. Aftercare greatly reduces your risk of relapse and offers ongoing support. It is very difficult to get some people into treatment, and it may take several attempts to get certain people to agree to enter a recovery program. Shaming the user into treatment by trying to make them feel guilty about the addiction will likely not help; nor will getting angry at the person and yelling at them. It is far better to approach them with a spirit of compassion and support. You could try to get them to agree to attend an evaluation. If they can attend an initial evaluation, trained treatment specialists may be able to persuade the person to enter treatment. If the person repeatedly refuses to get help and is a danger to themselves and those around them, you could consider an intervention. This approach has risks, however. Ultimately, the user – and not his or her friends and family – is responsible for his or her addiction and making the necessary changes to get sober. Few people are able to do a cold turkey withdrawal from morphine. Medical complications from morphine detox are rare. However, do not underestimate the unpleasantness of sudden withdrawal from morphine. The chills, nausea, vomiting and body aches are difficult for many people to endure. Most will quickly start using morphine or another opioid drug to alleviate the symptoms. Just stopping the use of morphine doesn’t allow the user to understand what led to the addiction. If the reasons behind the addiction are not addressed, the person will continue to use unhealthy ways to cope with his or her unresolved issues. Without learning any new coping skills that a treatment program can provide, relapse is likely. Many people who abuse morphine also have co-occurring disorders such as depression or anxiety. These issues may worsen under the stressful conditions of going through a morphine detox without medical oversight. At this time, there are no natural detox methods for morphine that are safe and effective. Whether you have concerns about your own morphine addiction or are seeking help for a family member or a friend, call 1-888-319-2606 Who Answers? today and our recovery support specialists will help you locate a treatment center in your area based on your insurance coverage and your needs for treatment and recovery. If you don’t have health insurance, call the Substance Abuse and Mental Health Services Administration (SAMHSA) at 1-800-662-HELP (4357) for referrals to low-cost or free programs in your area.